These are super easy and so delicious with the brushed butter. Thaw as many rolls as you need on the counter for about two hours. Or you can thaw in fridge overnight, if dough is frozen. 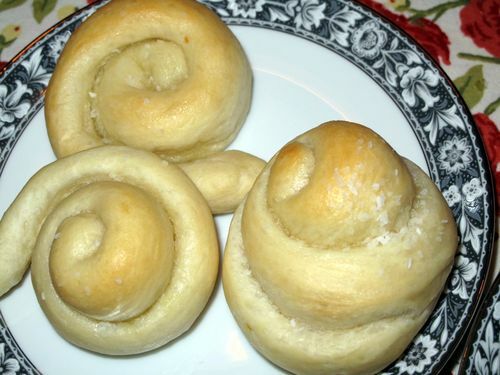 Roll each roll about 8 inches long, roll up in a swirl, brush with butter. Place in muffin pan or baking sheet and cover with saran wrap. Let rise until double in size or about 2-3 hours. Bake 350 for about 10-12 minutes. Brush with additional butter and sprinkle with Kosher salt.